The email marketing service provider Campaign Monitor recently acquired GetFeedback. 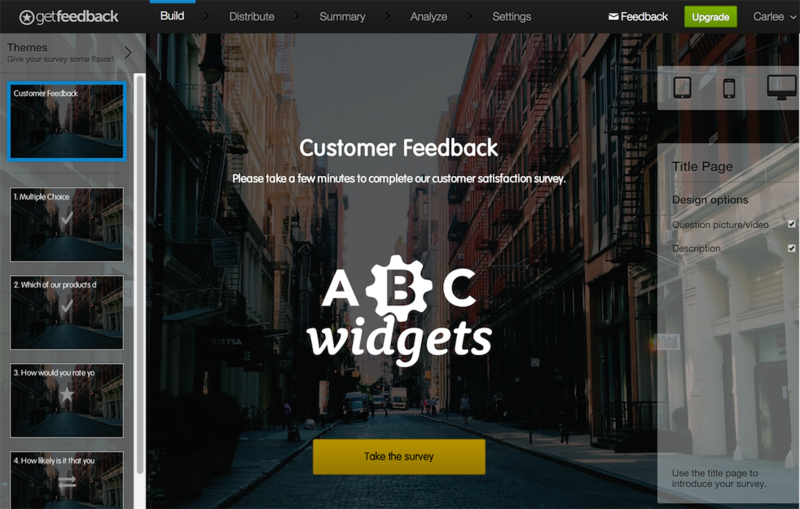 GetFeedback’s online survey platform allows all users to collect customer feedback by creating branded, mobile-ready surveys. Reportedly it was one of the fastest growing companies in the online survey software niche. This year Campaign Monitor already released a major new version of it’s email marketing application and received a $250 million investment led by Insight Venture Partners. Kraig Swensrud, Founder of GetFeedback and former Chief Marketing Officer of Salesforce, will assume the role of CMO for Campaign Monitor, based in the new U.S. headquarters. The acquisition builds on an exceptional, surpassed the 120,000 customer milestone, and made key executive appointments including CEO Alex Bard, a former Executive Vice President at Salesforce. The combination of the two companies will allow Campaign Monitor to offer an integrated set of email marketing and online survey applications. The acquisition will accelerate Campaign Monitor’s growth in the $5B market for email marketing and online survey software. Campaign Monitor customers consistently ranked online surveys as one of the most requested new capabilities, and GetFeedback customers ranked email marketing as the single most desired offering. The two products can be used together immediately, more integration is to be expected in Q1 2015.